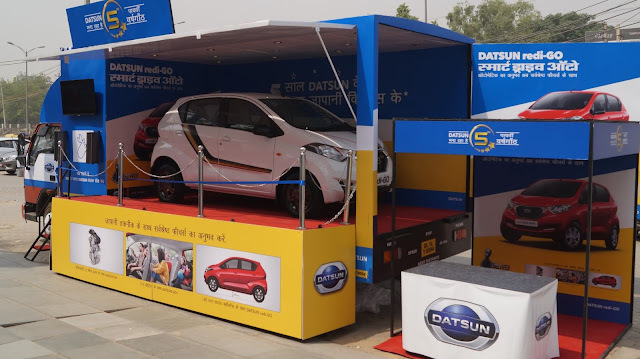 Gurugram, 24 May 2018: Datsun flagged off the third leg of ‘Datsun Experience Zone’ to kickstart its fifth global anniversary celebrations in India. 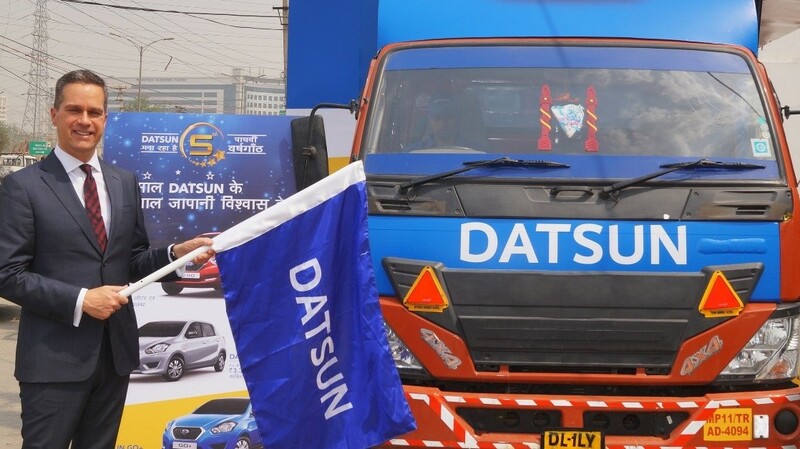 As a part of the event, twelve specially designed canters adorned with eye-catching livery that features the 5th anniversary celebrations campaign, will travel to 750 different locations including 160 districts and 300+ tehsils within a 50-100 km radius of Nissan/Datsun showrooms across India. In its endeavour to provide progressive mobility to consumers in India, the three months long promotion is an attempt to reach consumers in hinterlands and give them an experience of the brand promise through its products. In this third season of the Datsun Experience Zone, prospective customers can test drives the Datsun redi-GO, along with the GO and GO+. In addition, there are onboard entertainment, gesture-based games and interactive sessions for customers, with an emcee showcasing the redi-GO AMT’s features, the complete brand portfolio and distributing brand merchandise.